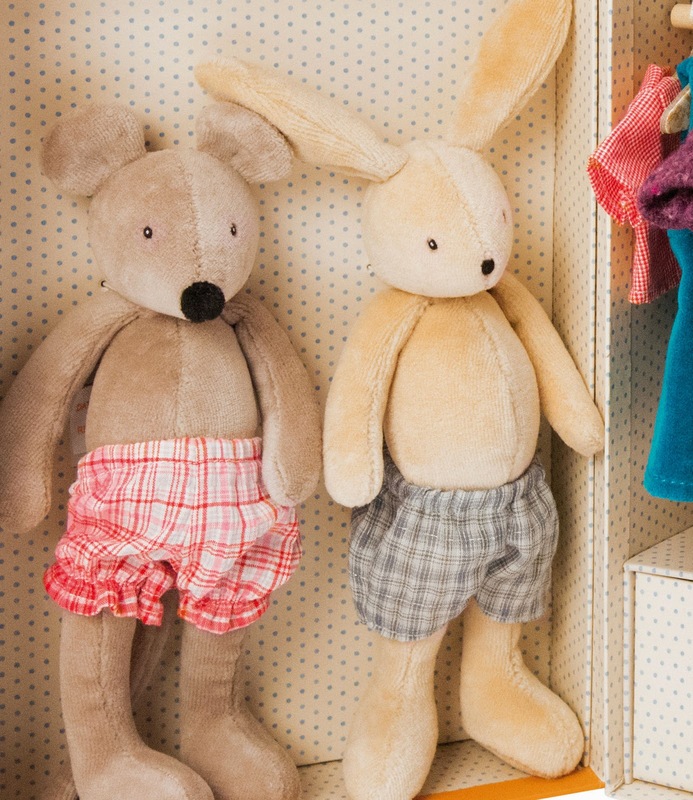 For starters I think it is probably my best selling, most profitable item since I opened Cottontails Baby, 11 years ago. It always sold well, but when it featured in The Guardian's Christmas Guide in 2012, sales rocketed. It's a charming thing. 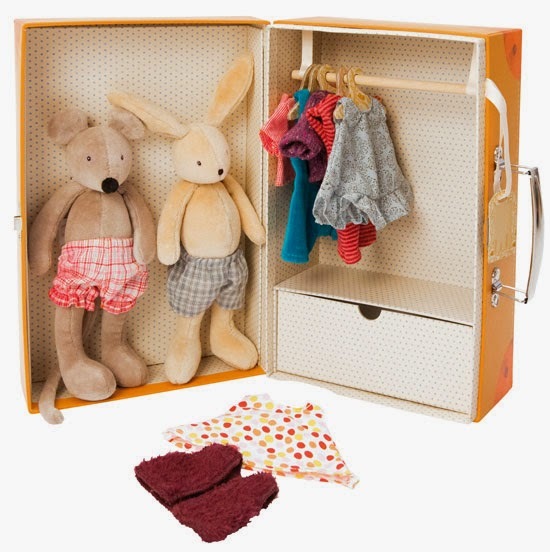 A sort of shoe-box sized toy, including sturdy 'wardrobe', two 20cm soft toys and a range of clothes. 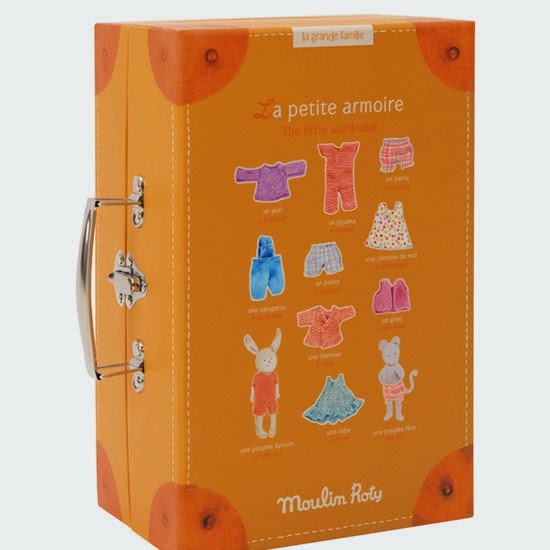 The box is just lovely, made from a very sturdy card, with metal clasp and handle, and a wooden clothes rail inside. And it is beautifully decorated both inside and out. 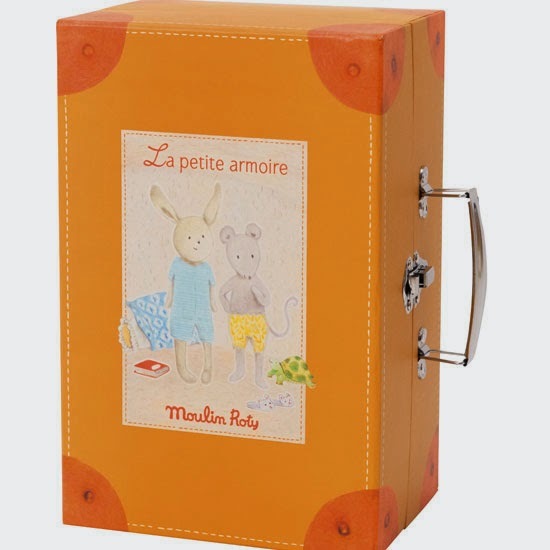 The two little characters inside will be familiar to any serious Moulin Roty fans - Nini mouse and Sylvain rabbit are two of the best selling animals from the Grand Family range. 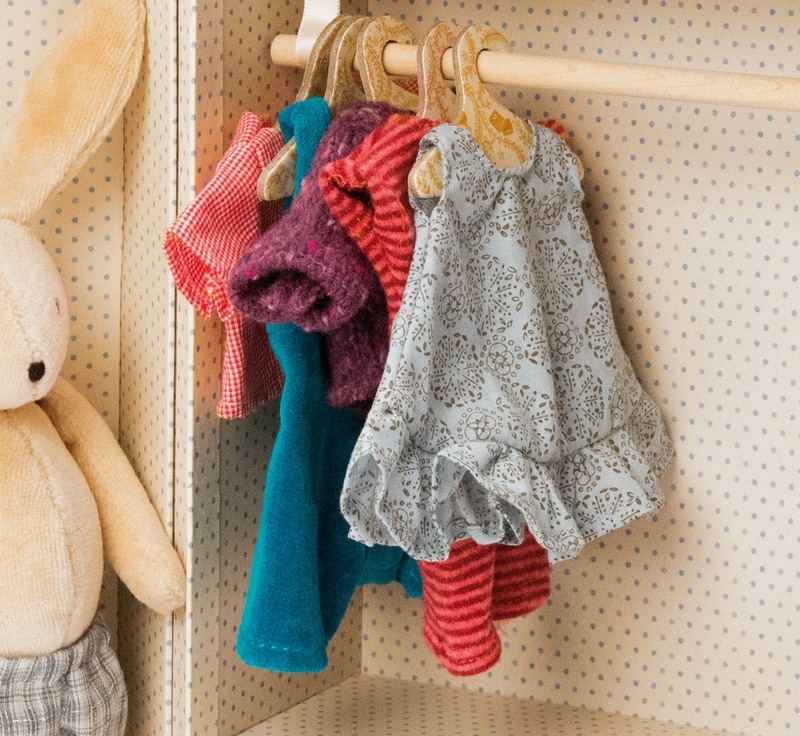 A whole set of little clothes (and hangers) complete the set. So you see, it's not just for children!